Welcome to the Jeffrey L. Doan Foundation Website! Started in 2004, the mission of the Jeffrey L. Doan Foundation is to enhance the lives of area youth by providing them the financial means to improve their golf games. 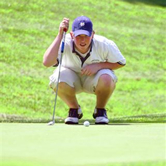 Our motto is, “Supporting Junior Golf in Wisconsin.” We help junior golfers’ dreams become reality. The Jeffrey L. Doan Foundation has distributed over $70,000 since its inception in 2004. In past years, funds were donated to area boys and girls high school programs to help supplement their budgets and enhance their programs. In addition, money was also given to The Viroqua Area Foundation Sports Complex, Three Rivers Junior Golf Association and the Wisconsin Junior PGA. friends and family or winning golf tournaments." 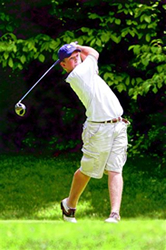 Jeff understood the importance of hard work and many admired his determination and dedication for the game which often kept him on the course from dawn till dusk. Nonetheless, it was Jeff’s upbeat personality and sense of humor that could undeniably put a smile on anyone’s face both on and off the course. © Copyright 2010 John and Vickie Doan - All Rights Reserved.